Fagersta, March 2019 — A number of current trends in manufacturing are magnifying the difficulty of creating precision bores and performing turning operations with extended-length tools. 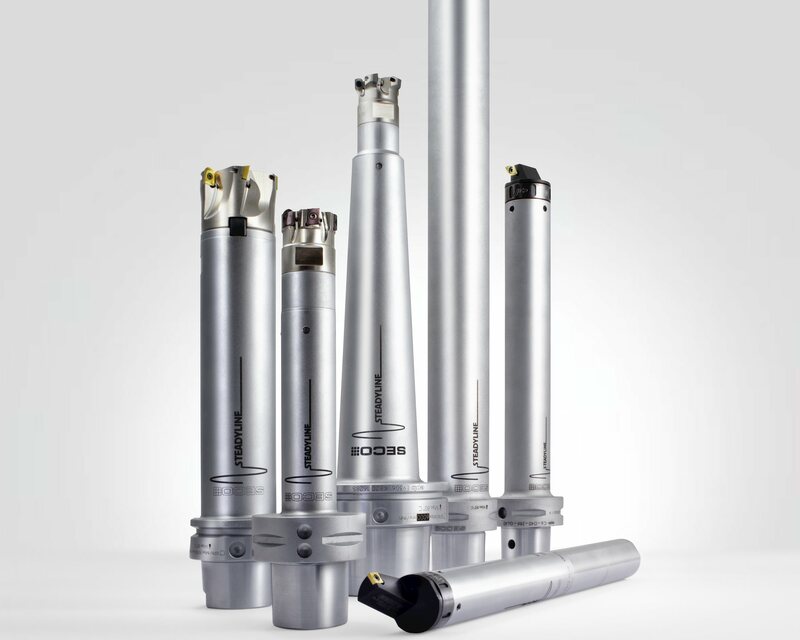 Demand for tighter tolerances and unfailing repeatability grows continuously. New high-performance workpiece materials are more difficult to machine, boosting stress within the machining system. To save time and money, manufacturers are consolidating multiple parts into single monolithic workpieces that require machining of deep bores and turning of complex components on multitasking machine tools. 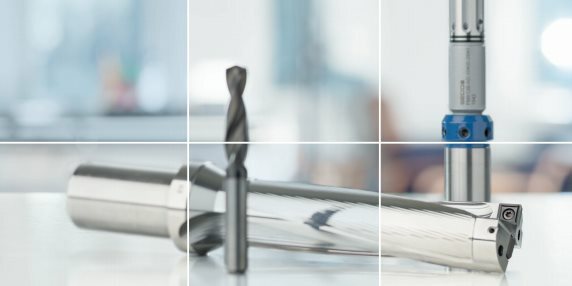 Manufacturers seeking to overcome these challenges must study all elements of their machining systems and apply techniques and tools that will assure success. Among the key elements are machine stability, tool holding, workpiece clamping and cutting tool geometry. In general, solid fixturing, rigid tooling and careful tool application make up the basic foundation for accurate, productive boring and long-reach turning processes. As chips form and break, cutting forces rise and fall. The variations in force become an additional source of vibration that may interact in sympathy with the tool holder’s or machine’s natural mode of vibration and become self-sustaining or even increase. Other sources of such vibrations include worn tools or those not taking a deep enough pass. These cause process instability, or resonance that also synchronise with the natural frequency of a machine’s spindle or the tool to then generate unwanted vibrations. A long boring bar or turning bar over­hang can trigger vibration in a machining system. The basic approach to vibration control includes the use of short, rigid tools. The larger the ratio of bar length to diameter, the greater the chance that vibration will occur. A small cutting edge lead angle produces larger axial cutting forces, while a large lead angle produces force in the radial direction. Axial forces have limited effect on boring operations, so a small lead angle can be desirable. But a small lead angle also concentrates cutting forces on a smaller section of the cutting edge than a large lead angle, with possible negative effect on tool life. In addition, a tool’s lead angle affects chip thickness and the direction of chip flow. 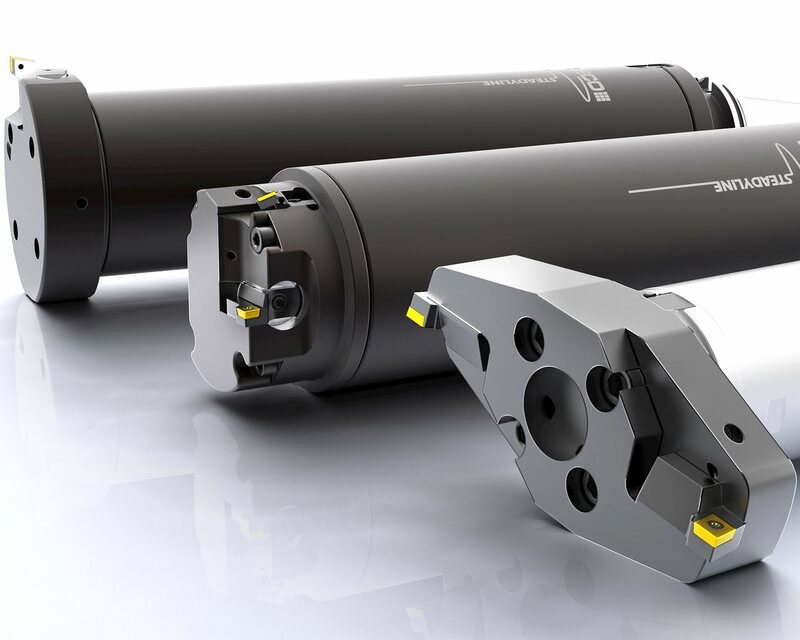 Steadyline® tooling from Seco Tools can enable typical long-overhang operations to be performed twice as fast as with non-damped tools while enhancing part surface finish, extending tool life and reducing stress on the machine tool. The system’s passive/dynamic vibration damping technology makes it possible to accomplish certain applications, such use of tools with L/D ratios greater than 6:1 that would not otherwise be possible even at minimal machining parameters. Turning and boring operations to depths up to 10xD in small and large holes can be reliable and productive. The Steadyline® dynamic/passive vibration control system functions on the basis of an interaction of vibration forces. In operation, a cutting force induces motion (vibration) in the holder. 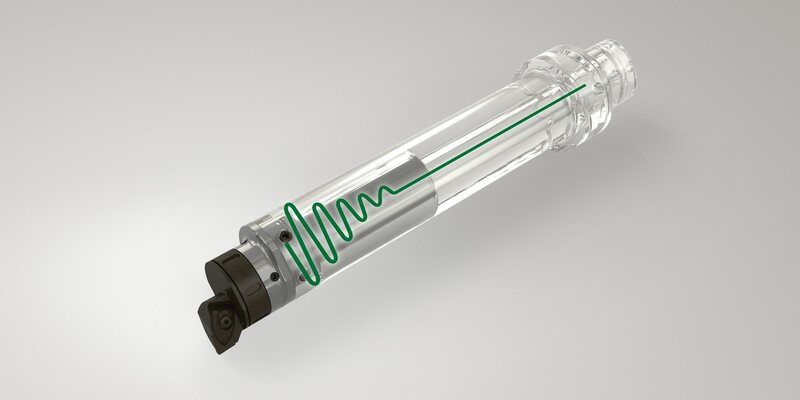 To counter vibration, the Steadyline® system employs the properties of an internal second mass engineered to possess the same natural frequency as the external envelope of the bar. The mass is designed to resonate out of phase with the unwanted vibration, absorb its energy and minimise the unwanted motion. In the Steadyline® system, the vibration-absorbing mass is positioned at the front of the bar where the potential for deflection is highest, and the mass can damp vibration immediately as it is transmitted from the cutting edge to the body of the bar. 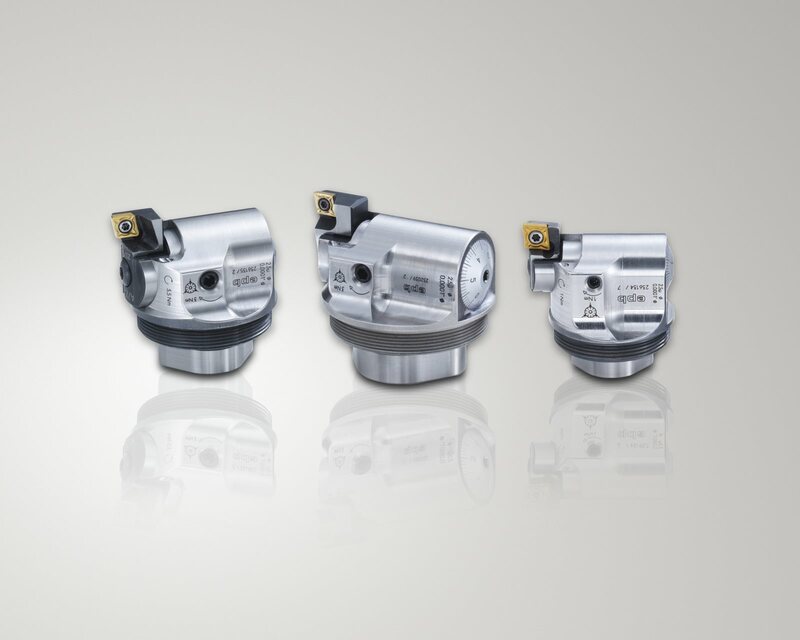 The Steadyline® system also includes short, compact Seco GL cutting tool heads that place the cutting edge close to the damping mass to maximise the vibration-absorption effect. 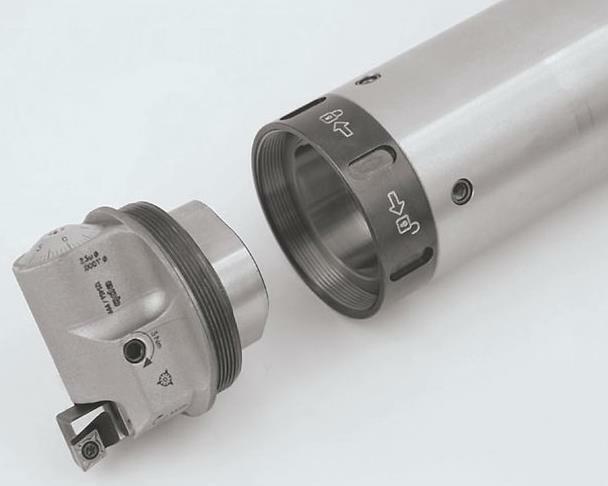 The system is adaptable to a wide range of applications and is most useful in rough and fine boring as well as contouring, pocketing and slotting. 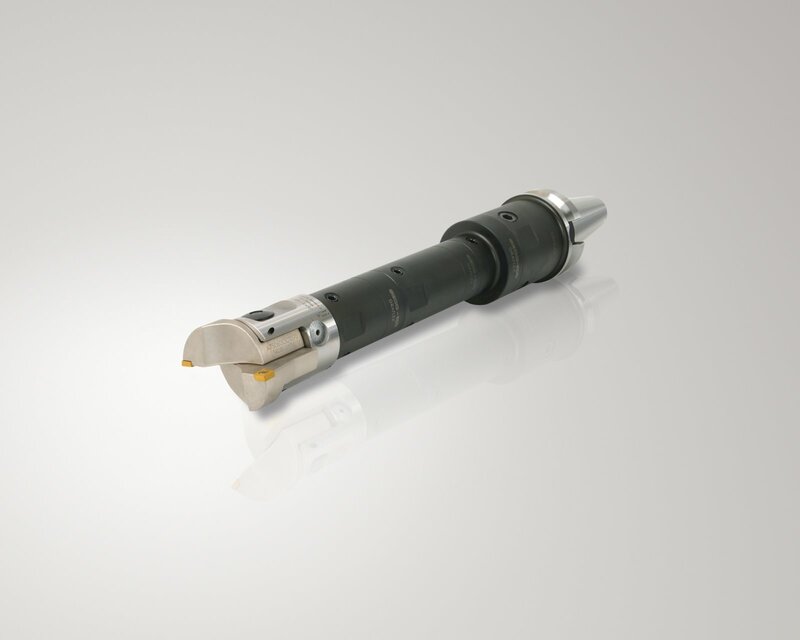 The 1.00" (25 mm) diameter bars with GL25 workpiece-side connection include carbide-reinforced bars for the deepest tool overhang challenges up to 250 mm, along with Seco-CaptoÔ, HSK-T/A and cylindrical shank machine-side interfaces. Larger 4.00" (100 mm) diameter bars accommodate existing GL50 turning heads and incorporate Jetstream ToolingÒ high-pressure coolant technology through BA-to-GL50 adapters.